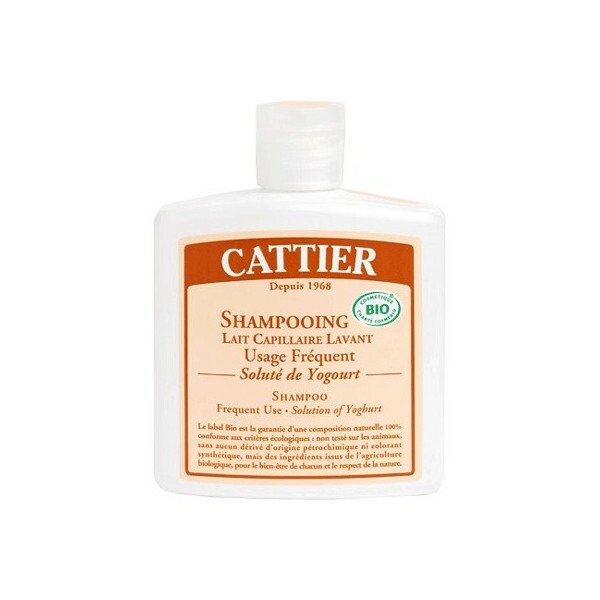 Cattier Shampoo frequently with Yogurt 250 ml. 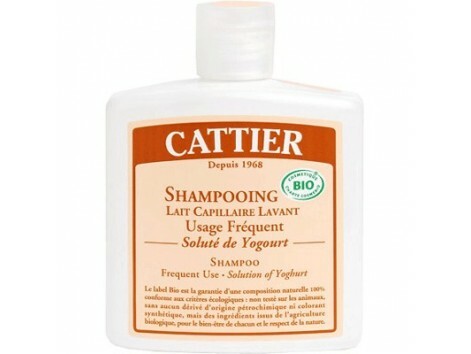 Shampoo frequently with Yogurt 250 ml. Cattier. Nourishes and smooths the hair Overview: The frequent use of the shampoo solution Catti yogurt, lightweight foam, softens and gives luminosity to any type of hair. Enriched by their addition to wheat proteins nourish and soften hair, thus facilitating their disentangled. The selection of essential oils provide a soft aroma. Not tested on animals. Does not contain dyes, preservatives or synthetic perfumes. Endorsement: Ecocert-BIO Composition INCI: Aqua, Lavandula Angustifolia Extract *, Ammonium Lauryl Sulfate, Sodium Cocoamphoacetate, Cocamidopropyl Betaine, Phospholipids (and) Glycolipids (and) Soybean (Glycine Soja) Oil (and) Soybean Sterol, Vinegar, Glycerin, Lavandula augustifolia Extract, Rosmarinus Officinalis Leaf Extract, Salvia Officinalis Leaf Extract, Thymus vulgaris Extract, Xanthan Gum, Hydrolyzed Wheat Protein, Sodium Benzoate, Parfum, Sodium Chloride, Phytic Acid, Benzyl Alcohol, Potassium sorbates Yogurt Extract, Citrus limonum, Lavandula hybrida, Ocinum Basilicum, Artemisia Dracunculus, Pogostemon Cablin , Salvia officinalis, Myristica fragrans, Juniperus Virginiana, Lactic Acid, limonene, Linalool * cbc = controlled biological cultivation. Tips: Apply to wet hair, massage gently until foaming. Allow a few moments. Rinse thoroughly with warm water.